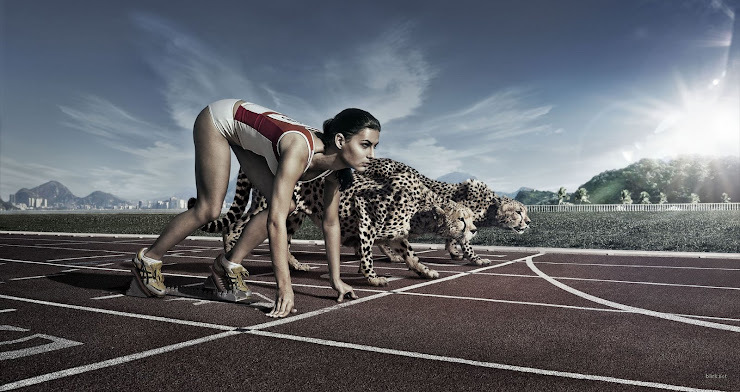 After having tasted the joy for the victory, it's time to analyze the value of what has been achieved. 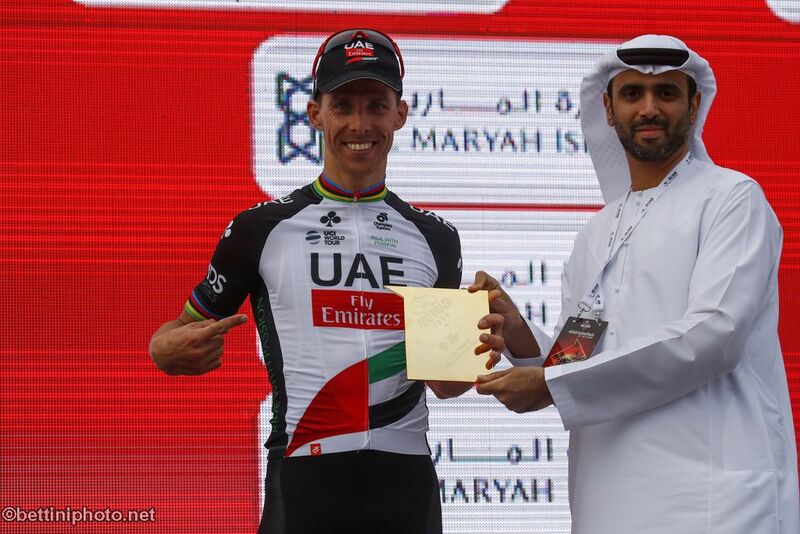 "This victory will inspire the young riders in the UAE and will increase the level of the passion for cycling". These words from UAE Team Emirates's president, Matar Al Dhaheri, points out the most important meaning of Rui Costa's victory in the 3rd edition of the Abu Dhabi Tour. The success of a top rider, the triumph of a well motivated team, the celebrations of sponsors which recently joined the cycling world and which immediately obtains satisfaction in the home race. The 21 turns of the Yas Marina Circuit, to be covered 26 times, gave to Rui Costa the definitely confirmation of the leadership in the final general classification. 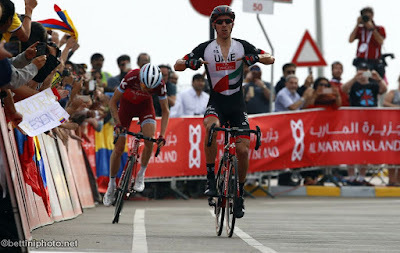 In the the last stage of the World Tour race (143 km), UAE Team Emirates succeeded to defend the red jersey of the Portuguese captain, despite the rain kept falling on Abu Dhabi for the whole day and the whole stage: Rui Costa adds his name to the list of the winner of the race, after Chaves (2015) and Kangert (2016). A breakaway in the first part of the stage required extra efforts from the members of the Emirati team, because among the attackers there was Valls, whose gap from Rui Costa in the GC was 1'15". The riders directed by the duo Marzano-Scirea were fabulous in controlling the situation and they received also the support from the sprinters' team: the breakaway was neutralized before the final part of the race and a bunch sprint assigned the stage victory to Ewan. 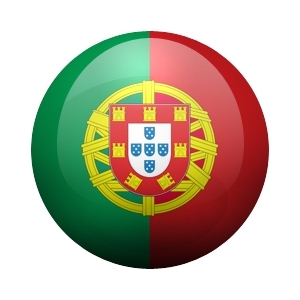 Thr advantage of Rui Costa in the final general classification is 4" on Zakarin and 16" on Dumoulin (3rd). 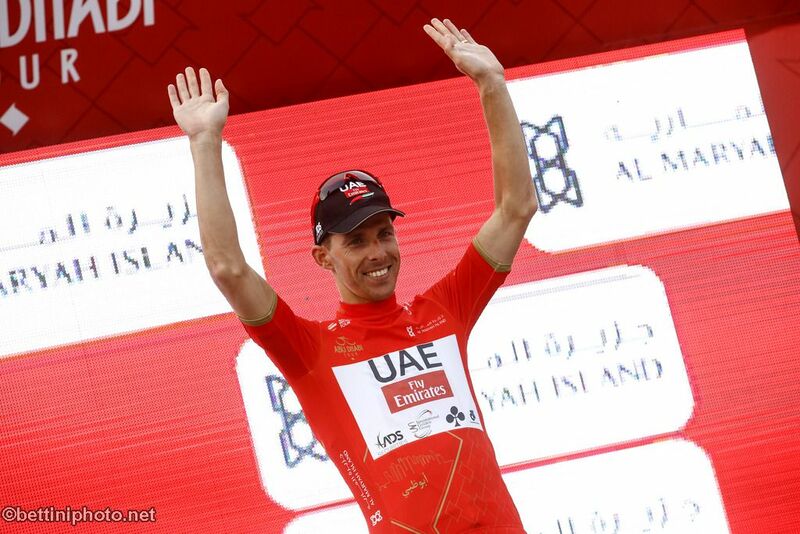 The group spirit of UAE Team Emirates was awarded with the victory in the teams classification, which was achieved thanks to the results of Rui Costa, Ulissi (11th at 1'08") and Meintjes (20° at 1'15"). In photo (Bettini), the award cerimony. 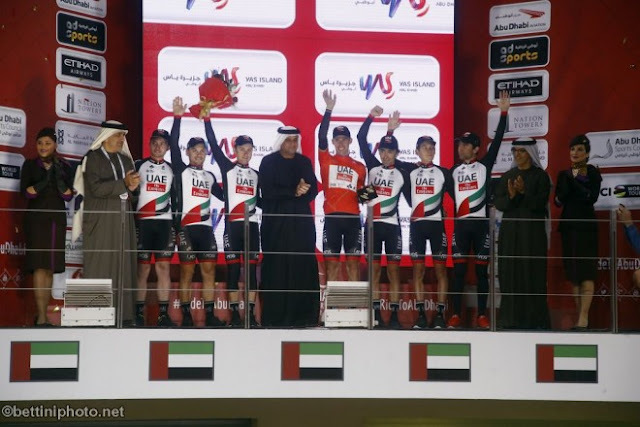 In the UCI World Tour classification, UAE Team Emirates is 5th. "It was not a relaxing day, today stage was a real demanding competition and the rain and the wet road added uncertainty to the race, however I was sure that my team would have led the to the top goal - Rui Costa explained - My team mates escorted me during the whole race, we were alway pedaling in the front positions avoiding inconveniences, I feel we really deserved this victory, which was obtained also thanks to the extra-motivations we received by being aware of representing a whole Nation. This is a special victory, which was obtained in the home race for the team and for the sponsors and which was achieved at the end of a program which started during winter and that, passing through demadning trainings, gave the the opportunity to achieve many satisfactions in this first part of the 2017 season. I'll focus my efforts on the next appointment, which is the Tirreno-Adriatico, it will be interesting to check if I'll be able to obtain the best once again from my good form". 11- Ulissi 1'08", 20- Meintjes 1'20", 88- Mori 11'46", 117- Consonni 12'18", 127- Guardini, 14'58"